Trinidad Guardian reported: A Muslim woman, wearing a burka, has the same privileges as anyone else to serve as a juror in the High Court of T&T. 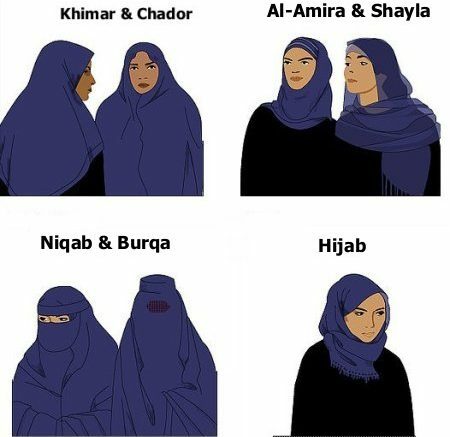 Under the Jury Act, a woman wearing a burka (a form of dress worn by a certain sector of the Muslim community) cannot be disqualified from sitting as a juror because of her attire. Justice Joan Charles, presiding in the Port-of-Spain High Court, delivered a 25-page judgment yesterday in which she ruled the court had no jurisdiction or authority of its own motion, or upon any other basis, to disqualify a person from serving as a juror on the sole basis that the individual was wearing a burka. The judgment was delivered more than two years after a juror, wearing a burka, raised eyebrows when she turned up to serve as a jury in the Port-of-Spain Third Criminal Court. The Attorney General, the Law Association, the Criminal Bar Association and the United Islamic League got involved in the matter. During December 2007, a female juror, wearing a burka, indicated her willingness and availability to serve as a juror. On the first day, the court’s attention was directed to the form of her attire. The woman was covered from head to toe in a voluminous black robe. Her head and face were covered, save for a slit in the area of her eyes. The woman was not selected that day but after the other potential jurors left she was asked to remain. The court conducted an inquiry. The court’s initial concern, according to the judge, was that the issue needed to be addressed since, in all probability, the juror may have been selected during the course of the month, whereupon the issue of her face being covered would have to be confronted. The juror was asked whether she would remove her head dress so the court and counsel could see her face. The juror responded that while she had no difficulty showing her face to the court or any female, she could not show her face to men. The court then directed that the juror show her face to a female marshall and female police officer for the purpose of identification. She admitted that she was an Islamic scholar, a graduate of the Dar Ul Uloom and was affiliated with the Masjid-ul-Muttageen, of Munroe Road, Cunupia. She also stated that under the tenets of her belief, it was her choice as to whether she wore the hijab or the burka and she chose the burka. ’They (people) are entitled to dress how they want to dress. There is no need to have a body of religious expertise to say how a person must dress,’ Hosein had said. 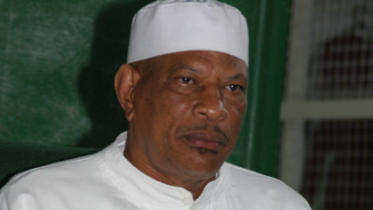 Christopher Hamel-Smith,SC, who sought the interest of the office of the Attorney General, had disagreed with Hosein’s submissions. Hamel-Smith in his submission disagreed with the matter being heard, since ’ the court ought not embark on integrating judicial and religious beliefs’. Hamel-Smith had cited three reasons for his submissions, the first being operating an adversarial system, where a potential juror may want to serve the court but cannot because of religious restrictions. ’The court should not embark on it (burqa issue) since other people may have already embarked on it and settled the issue,’ Hamel-Smith said. Adding the court should take guidance from other judicial cases which are similar to the case, Hamel-Smith had argued that the matter should be dealt with when it arises elsewhere. Charles said she hoped to produce guidelines on how women wearing burqas should be treated by the courts, which will be applied on a permanent basis. Also representing the Criminal Bar Association was attorney Rishi Dass while attorney Ravi Rajcoomar appeared for the Law Association, then Director of Public Prosecutions Geoffrey Henderson represented his office and Dana Seetahal, SC, assisted the court. Be the first to comment on "T & T High Court: Wear your burka and serve on the jury."